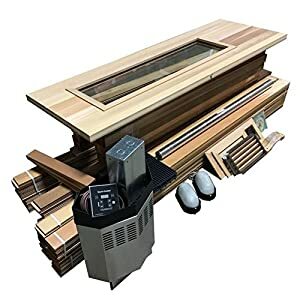 Allwood Barrel Sauna #300-WHP WOOD HEATER | Steam Shower - Bathroom Showers- Infrared Sauna - from SteamShowerDealer.com | SteamShowerDealer is your #1 source to buy designer and comfortable steam showers, steam spas and Infrared Saunas and accessories at discounted prices. Barrel is without equal shape for any sauna, for lots of reasons. There’s 23% less space to be heated when put next with a an identical size room with corners. Also, the cylinder shape allows natural continuous air circulation since the air is pushed back at the round walls. 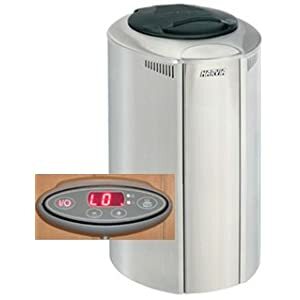 You are going to enjoy the ones longer steam cycles whilst saving on energy costs. 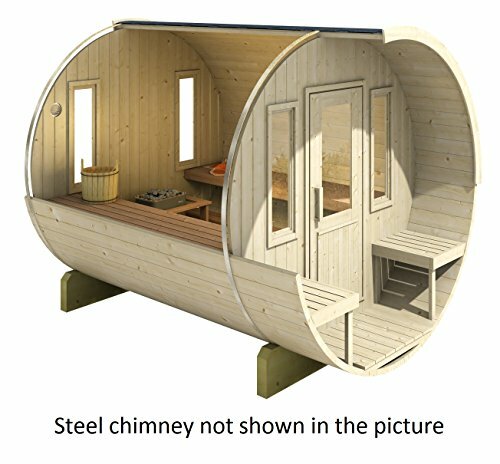 For that ultimate sauna enjoy we propose Allwood Barrel Sauna. The model #three hundred is the only with the longest sauna room length (90″). If you do not want the dressing room but just wish to lie down and soak within the steam, that is the sauna for you. 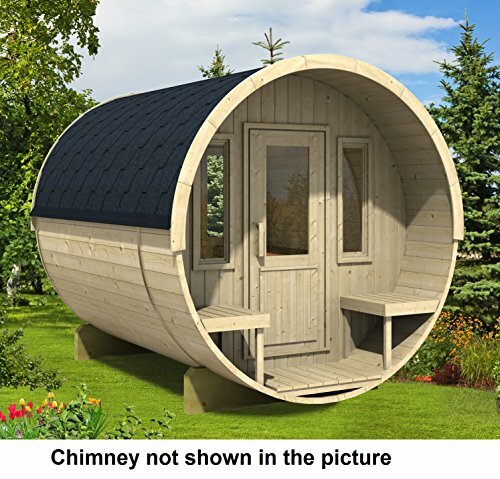 Especially if you’re 6’5″ or taller.The barrel and walls are constituted of 1-5/8″ thick slow grown Nordic Spruce. 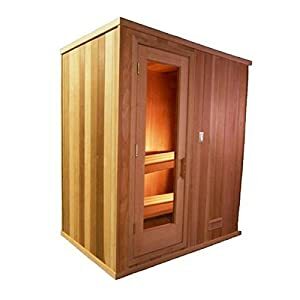 With 6’8″ diameter x 90″ inside length this sauna will comfortably seat 6 adults. Usual configuration of #three hundred model is the wood door front with seating for two but other options are also to be had. 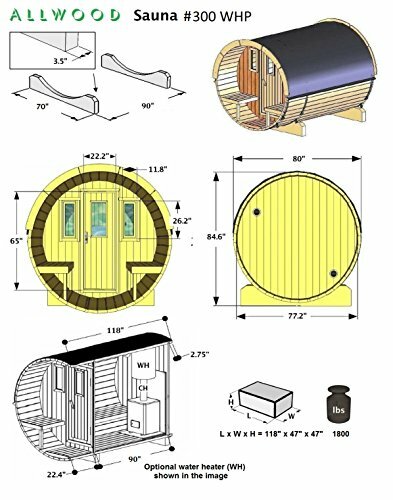 Unlike the models of competitors, Allwood barrel saunas come with roof shingles so one can add to the life span of your investment. 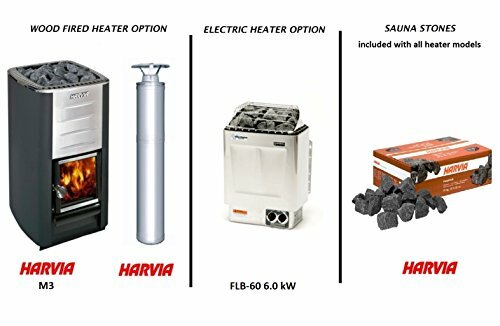 Included within the #three hundred-WHP kit: * sturdy frame and front/back walls constituted of 1-5/8″ slow grown Nordic Spruce * two 70″ beef up cradles to elevate the structure from the bottom * two industrial grade stainless-steel bands with fastener mechanism * bitumen shingles * Finland made Harvia M3 wood filer sauna heater * heater guard and sauna stones * all seating elements * floor boards * wood door with window (will also be installed at the sauna room back wall) * exterior seating for 2 other folks * separate intake/outflow air vents Free shipping to contiguous 48 states. Partial assembly required. Allow 45-60 days for delivery.